First time home buyers should check out the FHA mortgage option. Why? There are a few good reasons why more buyers select the FHA loan compared to any other mortgage loan. While the FHA loan isn’t reserved for first time buyers, any approved home buyer choose the program. Underwriting criteria and lower down payment requirements make qualifying for an FHA loan easier compared to some other options. FHA loans are one of the three government-backed mortgage programs. The other two are the VA loan and USDA program. VA loans don’t require a down payment but only veterans and others with military service are eligible. The USDA mortgage doesn’t require a down payment either but the property has to be located in an area approved “rural” by the USDA. Further, there are limits on how income much the occupants can make and is designed to assist low to moderate income applicants. There are no such limitations with the FHA mortgage. The FHA loan can be used in downtown Dallas, Texas, Chicago, San Fransisco California, as well as in rural and semi-rural areas. FHA does have maximum loan limits for FHA loans and they are tied to the median home value for the area. Loan limits are set at 115% of this median value. The FHA loan does have a down payment but the down payment amount is only 3.5 percent of the sales price of the home. For a home listed at $200,000, the down payment would then be $7,000. The down payment needs to be from a verified source such as a checking or savings account. A first-time buyer can also take out funds from an IRA for the down payment as well as help out with closing costs. In addition, the home seller is permitted to pay the buyers closing costs, but not required down payment. The down payment can come in the form of a financial gift from a family member or qualified non-profit agency. There are several loan options for first-time buyers when using the FHA mortgage program. When rates are at relative lows, as they still are now, it’s probably more prudent to lock in a fixed rate. Fixed rate terms can range from 10 to 30 years. There is also adjustable rate FHA loans called “hybrids” which are fixed for an initial period of time before changing into a loan that can adjust once per year. FHA loans also carry a guarantee to the lender. 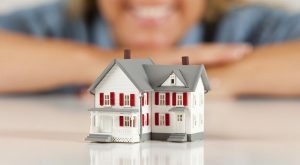 This is why the FHA loan is sometimes referred to as “government-backed” or “government guaranteed.” When lenders process and approve an FHA loan application, as long as they approved the loan using proper FHA guidelines, the guarantee is in place. The guarantee compensates the lender should the loan ever go into foreclosure. The guarantee is in effect an insurance policy that is funded by two mortgage insurance premiums- an upfront premium that is rolled into the loan amount and an annual premium that is paid in monthly installments and can vary based upon the amount of down payment and the loan term. For a 30 year fixed rate loan with a 3.5% down payment, the annual mortgage insurance premium is 85 basis points. The initial upfront premium is 1.75% of the loan amount. With the same $200,000 loan, the upfront premium is $3,500 and when added to the initial loan amount the final loan amount is $203,500. Borrowers can read more about all the 2018 FHA mortgage details here. If you’re getting ready to buy your first home or know someone who is, the FHA loan needs some consideration. There are good reasons why first time buyers flock to the program and should be on your list of potential financing options. Please contact us at the number above to learn about FHA loans today!